Does the idea of a tropical beach honeymoon bore you? Do you crave a romantic getaway that’s fun and different? If you’re looking for an adventurous honeymoon alternative, look no further than Northern Europe. The Nordic winter is very romantic: Think dark polar nights, Northern lights, crackling fires, warm saunas and a jacuzzi under the stars. Kakslauttanen Arctic Resort is located near Ivalo Airport in Finnish Lapland and is renowned for their glass-igloos and log-cabins. Their unique Wedding Chamber is a traditionally built ‘Kammi’, an earth-lodge with turf-roof. This cosy cabin has everything you need for Nordic-style romance: a timber sleigh-bed, an old-fashioned free-standing bathtub and your very own sauna. Kakslauttanen offers many seasonal activities depending on what time of year you visit. Have your pick from husky- and reindeer safaris, snowmobile- and sleigh-rides, Aurora hunting, ice-fishing and skiing. The ICEHOTEL Jukkasjarvi is located near Kiruna in Swedish Lapland. Romance literally doesn’t get any cooler than this. Spend a night in a gorgeous Art Suite, where the entire interior is artistically hand-carved out of clear, blue ice. Each suite has it’s own theme. 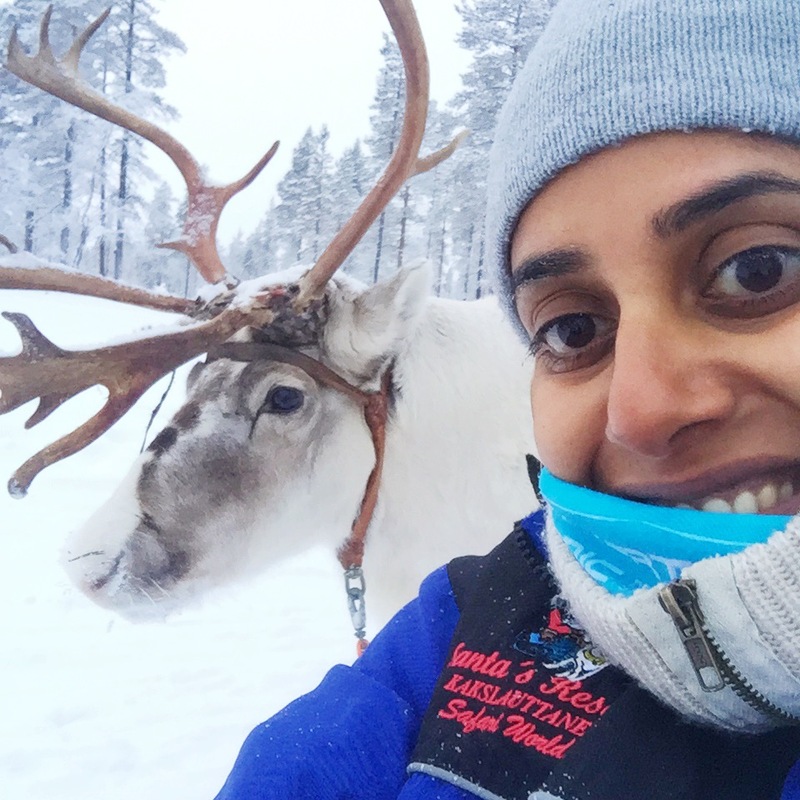 The rooms are a chilling -5 to -8 degrees Celsius, but fear not: you’ll sleep in a thermal sleeping-bag on a wood-based bed covered in reindeer-hides. You’ll start your day with a warming sauna-session and hot shower before your return to the chalet and it’s warm rooms. Take a daytime tour of the rest of the ice-rooms, enjoy a drink in the ICE Bar, do an ice-sculpting class, enjoy the Northern lights or venture out in the wilderness by the means of reindeers, huskies, snowmobiles, horses or by skis. The Kirkenes SnowHotel is located outside Kirkenes in Northern Norway. Snow is cosy, but the -4 degrees Celsius snow-rooms at the SnowHotel are even cosier. Each of the 20 rooms are decorated by international artists in an Arctic theme. Lighted ice-sculptures sets the mood for wintery romance. Try your hands at the exciting King Crab Safari where you fish, cook and eat your own delicious King Crab. Apart from husky sledding and Northern Light-hunts you can also go ice-fishing and explore the small town of Kirkenes. Golden Crown Igloos is located in Levi, a town near Kittila Airport in Northern Finland. The Premium Glass Igloos offers spectacular views to the Arctic winter-skies, what is more romantic than viewing the Northern lights together from the comfort of a warm bed? Treat yourself to an indulgent Nordic dinner at the Aurora Sky restaurant on site, right on the Levi mountain. It’s a wonderful chance to enjoy the surroundings, the cuisine and your special company. Beana Wilderness Boutique Hotel is located near Rovaniemi in Northern Finland. Book the luxurious Laponia Room complete with your very own sauna. The peaceful, remote location will make you feel as if you’re the only two people in the world. Couples who sauna together, stay together! The room-booking includes not only a scrumptious breakfast but also winter clothing and free use of toboggans, snow shoes and cross-country skis for the duration of your stay; encouraging plenty of fun and outdoor activity. You can also enjoy husky-safaris, snowmobiling and Aurora hunting together, creating memories for a lifetime. 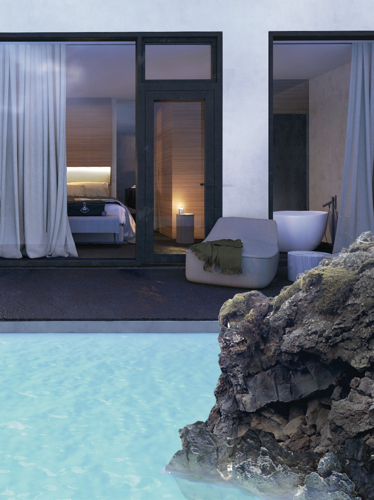 The Blue Lagoon's new Retreat offers a private geothermal lagoon encircling the property, and a subterranean spa beckons with treatments such as in-water massage. But should you begin to feel waterlogged, you can join a yoga class, take a group hike, or sample delicious farm-to-table fare at the restaurant. This is a super luxurious stay with pampering and romance offered throughout the stay.